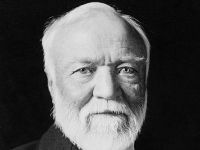 Just came across this 2007 profile of Wee Andrew Carnegie. Andrew Carnegie’s biographer David Nasaw appears throughout The Men Who Built America series to comment on his subject and times. 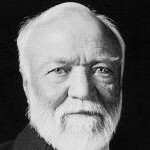 By all accounts, his work Andrew Carnegie is the best biography of the diminutive Scotsman to date. In this 30 minute video Nasaw is interviewed by another prof about the book and Carnegie. If you have any interest in the tycoon invest the time to watch it as it’s well worth it. The two most interesting parts for me were the explanation of what fueled the man’s immense ambition and what his thoughts would have been on the recent “You didn’t build that” tempest in a teapot during the final months of the 2012 election here in the USA. Go watch it. I am going to grab a copy of the book as well.